Corporate Events at Plas Dinam029 2125 1015work Conference residential venueGetting out of the city is one of the best ways to stimulate creativity, encourage good thoughts and get a bit of perspective and a very good way of getting the best out of people too! That’s why treating your employees and/or clients to time away at Plas Dinam for away days, incentive trips or corporate hospitality makes such good sense. So tell us what you want to achieve and we’ll design the perfect package - it might be work but we bet you’ll enjoy it too. With everyone staying under one roof, there’s none of the awkwardness or constraints of a hotel, and we see time and time again how well weekends here work for building relationships within the company, and cementing or creating new ones with clients. 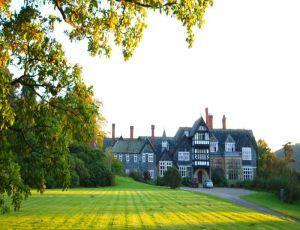 Plas Dinam has 12 acres of grounds for you to use as you wish - perfect for all sorts of activities or sports. Think about a tennis tournament, game of croquet, country walks, barbeques on the hill – whatever suits your needs but always in a way that means your team can relax and unwind and get to know each other better. The team at Plas Dinam can help you with as little or as much of the planning as is needed. Catering and activities can be provided where required. 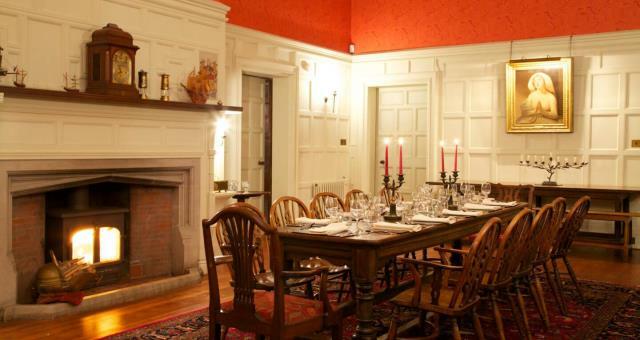 Plas Dinam is full of warmth, light and character. With 3 large adjoining reception rooms to choose from Plas Dinam has the flexibility and space to host your next event. The huge wood panelled dining hall can be configured to seat up to 50 around tables or up to 100 theatre style. The adjoining drawing room is suitable for smaller groups but again will seat up to 80 delegates. It has huge windows, a lovely view and a grand piano. Getting out of the city is one of the best ways to stimulate creativity, encourage good thoughts and get a bit of perspective and a very good way of getting the best out of people too! That’s why treating your employees and/or clients to time away at Plas Dinam for away days, incentive trips or corporate hospitality makes such good sense. So tell us what you want to achieve and we’ll design the perfect package - it might be work but we bet you’ll enjoy it too. The team can offer a variety of delicious catering to suit your needs and delicious home baked cake for the all important breaks.